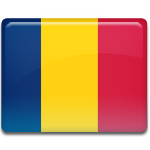 Freedom and Democratic Day is a public holiday in Chad, that is celebrated every year on December 1. This holiday celebrates the events of 1990, when the long-lasting Hissène Habré's dictatorship was overthrown and Idriss Déby rose to power. Hissène Habré was the Chadian dictator from 1982. His regime was characterized by widespread human rights abuses and atrocities. He created a secret police, the Documentation and Security Directorate, that tortured and executed his opponents. His government was also engaged in ethnic cleansing. In October 1989 Idriss Déby headed the Patriotic Salvation Movement against Habré, that staged an uprising on November 10, 1990. On December 1 Hissène Habré was overthrown and exiled to Senegal. On December 2 Idriss Déby assumed the office. His presidency marked the beginning of a new era, an era of freedom and democracy in Chad. Freedom and Democracy Day is a public holiday in Chad. All businesses and government offices are closed and people enjoy an additional day off.